We buy select Bobcats from all 50 states and Canada. 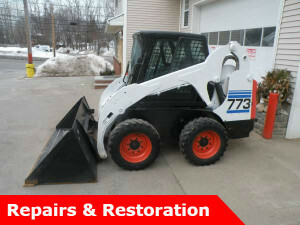 Each machine is thoroughly inspected by our Certified Bobcat Mechanic. It gets any necessary repairs and a fresh paint job. Since we want return customers, we only sell or rent a machine that is sound and in excellent operating condition. 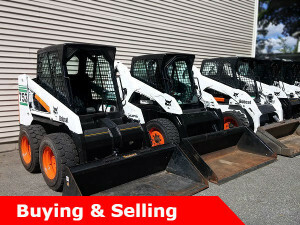 Ciano Development Corporation also takes trade-ins of other equipment aside from skid steer loaders as well as used vehicles! We offer Long-Term Rentals that cover the snow removal, landscaping and contracting seasons. Make money plowing for residential and commercial properties. 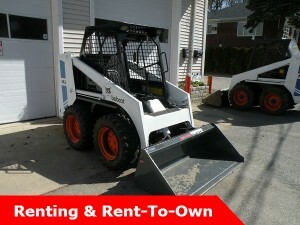 We also have a Rent-To-Own program. Our in house financing makes this an easy and affordable option. Put your confidence in over 40 years of providing reliable services. Our customers keep coming back because we take care of them. Get in touch with us to find out about sales, seasonal rentals and more. Whether you have questions about our equipment or a need for our repair services, you can get in touch with us 24 hours a day, 7 days a week.